Does Europe need more democracy? When Yanis Varoufakis, Greece’s ostentatious former finance minister, recently proposed to change the course of European politics, he received relatively little attention, and much of it was negative. The central message of the Democracy in Europe Movement, or DiEM25, which Varoufakis launched, is that “Europe will be democratised or it will disintegrate.” It is a position based on Varoufakis’ bruising experience over the first six months of 2015, while trying to translate Greek popular discontent with austerity into policy at the European level. During countless sessions of the Eurogroup, the informal council of Eurozone finance ministers, he became, as he put it, “a minority of one”. Ultimately Varoufakis failed in part because the Greek government performed a spectacular policy U-turn. But he blames European institutions more than the ineptitude of Syriza, which came to power in January 2015 heralding an end to austerity across Europe. What irks him most is the power of a relatively small number of people to call the shots. Days after Syriza came to power, European Central Bank chairman Mario Draghi revoked a waiver that had allowed Greek banks to borrow from the ECB in exchange for junk-rated Greek bonds. From that point on the banks depended on Emergency Liquidity Assistance, a short-term emergency facility carrying higher interest. The world’s media began to closely monitor this trickle of cash from Frankfurt, speculating as to when the banks would close their doors. This “contributed to the slow run on Greek bank deposits that put pressure on the government all through the spring,” says Galbraith. It also ultimately led to capital controls, still in place. The ultimate political triumph of European institutions and of austerity over the Greek government, Varoufakis believes, is producing a vicious cycle of recession and further political repression. Europeans have not rushed to embrace DiEM25, and the signs are that, in the short term, at least, they won’t. The latest six-monthly Eurobarometer survey appears to suggest that most Europeans don’t share Varoufakis’ concerns. Immigration, the economy and unemployment are their chief worries; and since a slump in confidence during the banking and debt crises in 2009-13, most Europeans (58 percent) are confident about the future of the bloc. A Special Eurobarometer survey in 2014 found that more Europeans saw the EU’s economic power as its chief asset (19 percent) than its respect for democracy, human rights and the rule of law (17 percent). Varoufakis supporters might read the most recent Eurobarometer differently, however. Only three in ten Europeans trust their national parliament and government, and only four in ten trust the EU. Trust is at an all-time low on the other side of the Atlantic, too. Only one in five Americans say they trust the federal government “just about always” or “most of the time” according to a Pew Research Foundation poll late last year. Freedom House, a human rights watchdog, finds that there is a broader decline in freedom and democracy around the world. Its latest annual survey, Freedom in the World 2016, has found a record number of countries (72) displaying a decline in freedom of expression and the media, as well as the rule of law, since the start of a global trend over the last decade, suggesting that it is accelerating. This is an oblique reference to the fact that having locked horns with eastern European countries over its proposal for mandatory refugee quotas, the European Commission caved in to their policy of exclusion. The European Council’s March 18 decision to set aside concerns about Turkey’s human rights record and growing authoritarianism, assigning it a key role in protecting Europe from uncontrolled migration, appears to underline the shift in values. So is Varoufakis on to the Next Big Thing, politically speaking, and can DiEM25 save Europe from itself? The answer partly hinges on Varoufakis himself. “He is a kind of provocateur,” says University of Piraeus economist Theodore Pelagidis, who has known Varoufakis since their student days. It is true that few Greeks speak well of Varoufakis nowadays, because of Syriza’s botched negotiation, but his reputation outside Greece does not seem to have suffered as much. What about the substance of reform? DiEM25 would oblige the Eurogroup, ECB board and European Council of heads of government to stream their meetings live. It would elevate the European Parliament, federal Europe’s only directly elected body, to primacy above the executive, the European Commission, and the European Council. To be more democratic, the EU needs to be fully federal, say some. “In order for the differences between the nation states’ economies to narrow you have to have political integration,” says Pelagidis, who believes that Europeans aren’t ready to surrender national sovereignty or to redistribute wealth across the EU. Then there is the Greek experience, which suggests that European institutions are well-entrenched. Neither through confrontation (January to March) nor through conciliation (April to July) was Syriza able to significantly change the austerity policies previous governments had signed. The government did consider its one nuclear option – leaving the Eurozone – and shied away from it. Globalisation has not so far pushed Europe or America in the direction of greater democracy. Both are increasingly in competition with regions that have authoritarian governments and little tradition in human rights. They may manage to lead, but this can only be done by example. 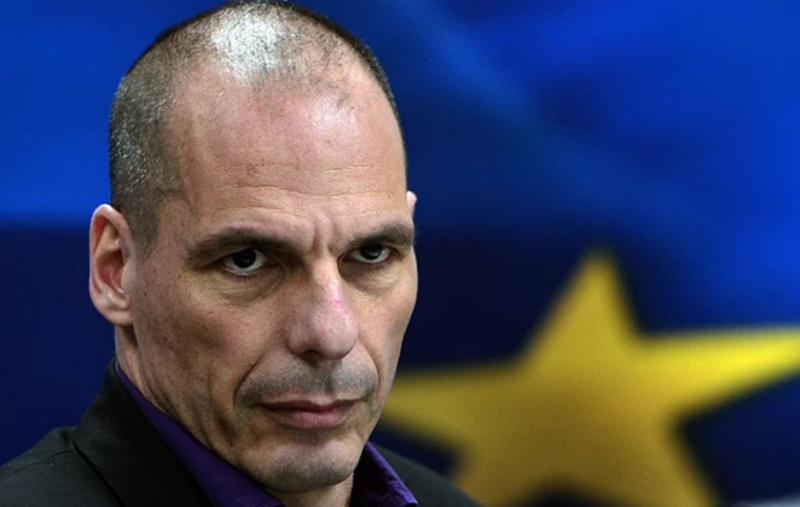 If the flame flickers in Washington and Brussels, Varoufakis will have lost his gambit.